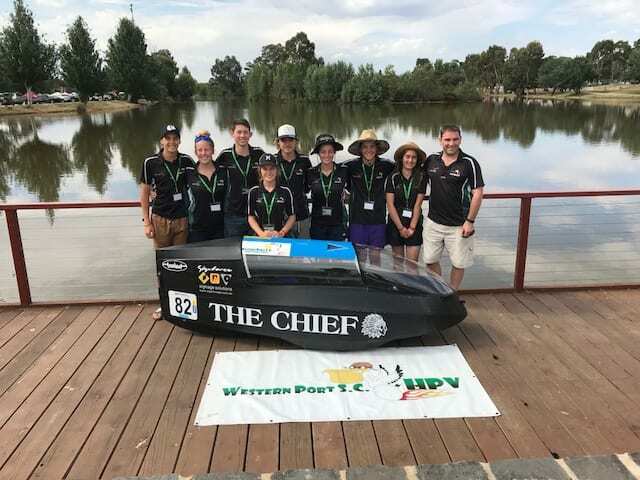 Western Port Secondary College has offered HPV (Human Powered Vehicles) for over 10 years to students. This wonderful sporting event offers a new way of learning for students who have to race a HPV around a circuit for between 6 to 24 hours depending on the race format. The students are organised into teams of 6-8 depending on the event and rotate riders during the race. The main event is the RACV Energy Breakthrough held in November each year at Maryborough. We have raced the 24 hour category a number of times with 2-3 trikes with 8 riders each. The event focuses on teamwork, fitness and fun and is offered to all students at the college. There is regular training in the lead up to events and trike preparation which also gives students detailed knowledge in the mechanics of bikes.